I normally think of spring as my dress sewing season, not my quilting season. The weather is staying warm now, my garden is in full bloom, and the idea of pretty printed cottons against my skin is mighty appealing. Uncharacteristically, though, I find myself wanting to make up a new quilt, not new dresses. Maybe it's because there are so many great new quilting books out at the moment or maybe it's because of the kick in the pants provided by the Spoonflower staff picnic a couple of days ago where we were embarrassingly low on staff-made quilts, but I am this close to a new quilt plan (and not at all close to a new dress plan). If you're our giveaway winner, you can choose your fabric set from either the I Spy Alpha, I Spy Eden, or I Spy Alloy sets. (That's an Alloy set pictured above.) Just leave a comment on this post or on the corresponding Facebook post, and as always, do include your Spoonflower screen name or some other means of finding you easily. Entries close next Tuesday, 5/8 at 7 pm EST and we'll announce a winner on 5/9. Good luck, everyone! This giveaway is now closed and we'll be announcing a winner shortly. Speaking of great new quilting books out now, the winner of last week's giveaway of Denyse Schmidt's Modern Quilts, Traditional Inspiration was Carmen Lingenfelter–congratulations and happy quilting, Carmen! What great material! Thanks for the giveaway! 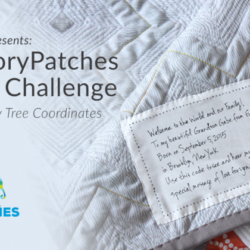 What a great giveaway and what an awesome quilt I could make with this…thanks for the chance to win. I have little ones who would love an I-spy quilt. Great for picnics! This would be fantastic for the baby quilt I wanted to make for a friend. I love charm packs!! Oh… I am so addicted to I Spy Quilts! I love SpoonFlower! I would love to make an I spy quilt! I spy…with my little eye… something that is AWESOME! Would love to make an I Spy quilt – and these sets are wonderful. How fun! I just found your site and was so excited I immediately made an account and shared your site on my blog. I love the I spy idea! How wonderful! An I Spy with these fabrics would be great. Having emigrated to Canada 2 years ago I’ve been dazzled by all the lovely quilting cottons in the fabric shops… so bought my first scraps at the weekend to try it out and now comes this competition! Great fabrics! Yes please! I love I.spy quilts! Thanks for the chance. Actually this kind of made my day, I just picked up a quilting mag yesterday since I’ve decided that I’m ready for my first quilting experience. This would be a fantastic beginning project for me! Love the fabric and the game idea!!! I am one of the participating designers for the ‘Alloy’ set! 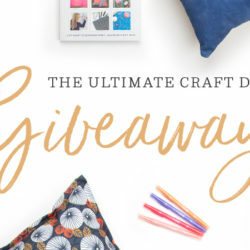 So awesome of a giveaway… Thanks Spoonflower & Crafterhours! My two-year-old grandson is pretty great at ISpy. We would love to play. I’m a quilter so I’d love to stitch up an I Spy quilt. I have yet to make one and would love the playfulness in my life. Wouldn’t I just love a pack of goodies like this??!! Yes, I would! My Spoonflower name is the same name I’m signed in under. I’m ready to make my second quilt! 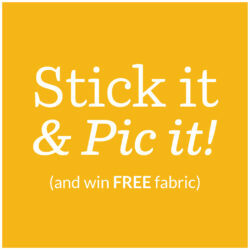 I would love to win some of these fabrics!! Seriously, I was JUST looking for scraps to make an I SPY quilt. This would be great! PICK ME! I spy a lovely collection there!! What a great give away!! I love the Eden mixture. What a fun quilt. What a great idea for a fabric collection. These would make a great quilt or pages in an activity book. My son loves iSpy! I’d love any of them. They’d make a great quilt to donate to a charity auction. I am Dollie_Mama on Spoonflower. Thank you! These are neat! Princessmax is my spoonflower handle. yay fabric! what a great idea! I love their I spy sets. I am crhaines. Would love to win these fabric cut-outs, and have lots of fun quilting them. Oh that would be so much fun!!! This is a great idea! Sign me up! my spoonflower name is s_lukjanovs. Thanks! I would love to make an ISpy quilt! Love I-Spy Alpha set! You’ve done all the hard work for me! Oh I’d love to win this! I think my little one would enjoy playing the game 🙂 I think I’d pick the Eden set but they are all lovely! My two boys would love this on those long car rides to grandma and grandpa’s house! i can’t believe how many talented people there are out there! i love all the finalists entries and would love to have the fabric to make an “i spy” quilt. Working on my first wall quilt with Spoonflower fabric…(a ceanirminger design)complete with adornments and embellishments. Am I mad? But I would love working with a variety of fabrics for a I Spy quilt for a grandchild due tomorrow. We still have our 34 year old, beloved I Spy book, which is much better than the newer version. 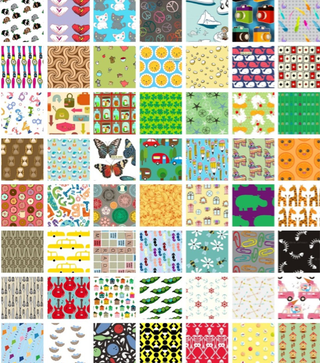 Love you Spoonflower folks and all the artists and designers. Such talent out there…it gives one hope for the future! I love the fabric! This would be a great way to get back into quilting. Thanks for the opportunity! Tommyandjimmy would like to be included in the giveaway contest. What fun! That looks like so much fun!!! I LOVE Spoonflower!!! I love a chance to win and make an I spy quilt for my first grand daughter, kira! Thank you for the chance. I’m Sewicked on Spoonflower & this looks great! This is just the perfect opportunity to make that I Spy quilt I’ve been thinking about! Great fabrics! What a great assortment of fun fabrics! I continue to be amazed and inspired by all the creative folks’ designs. What a cool way to get to see your designs in fabric. Thanks. My grand kids would love an I spy quilt. What an awesome idea! My niece and nephew would love one of these hand quilt by their Auntie Michelle. I was always too lazy to put together an ISpy set…you made all the hard work easy. Thank you! Brilliant – what a great idea to sample gorgeous designs. What a brilliant idea! I would love to win these fabrics and make an i-spy quilt. Thanks for the giveaway. Ooh! How exciting, I love the I Spy Alpha fabrics! Thanks for the opportunity. I would love to make a quilt with one of the spy sets. They are so cute. These fabrics are awesome! I would love to win!! This would definitely make my day. Babies blooming all around me! And mine are college age! So, I have the time and a wide audience to give to!! 🙂 This would make my summer just splendid! Wow, what amazing fabric. Love it!!! Thanx for a chance to win! I love Crafterhours! Their I Spy packs are so cool! What a fantastic give away. Yay! cool – what a fun idea! I’ve been following Susan at Crafterhours for a while now and she led me to you! So happy I found you both. This is a great giveaway- thank you! I would love to win one of the I Spy Alpha set! My mom is working on an I Spy quilt for my 18 month old son. This would be a wonderful birthday gift for my twin girls! So love to win!!! I’m collecting I-spy charms, and these are gorgeous. Please count me in the draw! What a super fun quilt this would be to make! !